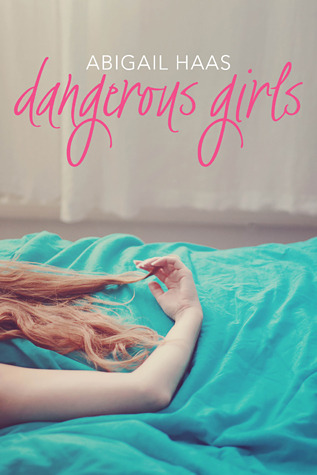 This week's spotlight is reserved for Dangerous Girls by Abigail Haas. I actually finished Dangerous Girls this morning and loved every moment of it. I was lying in bed after waking up, remembering that I had downloaded this via iBooks because it was free and decided to give it a go. Two hours later and I was gaping like a fish, clearly at loss as to what to do. This book, everything about it, had me on edge. Anna is befriend by Elise at her new school and soon they become inseparable. As best friends they do everything together, including Spring Break. Along with their group of friends and Anna's boyfriend, Tate, they decide to let loose and have fun. Yet, they would never be ready to witness the brutal remains of Elise after being murdered. Soon Anna spirals into speculations and accusations, unable to uncover the truth. It really was one of the best thrillers to read, and I loved the set up of the story. It ebbs and flow from present to past for readers to piece the puzzles together - unsure of where it really is heading. At some points there were court transcripts and texting conversations as one whole paragraph, which made for a creative read. The characters were interesting because of their complex relationships, especially between Anna and Elise. They had one of the strongest friendships but it had so many layers built into it. AK held the most interest for me though because I couldn't really decipher his true intentions. The end sort of blew my breath away, but there were some moments where it was predictable. Still, I can overlook that because it was simply amazing to read. Definitely recommend! ooh glad you enjoyed this! I've been meaning to read DG for a very long time. The blogosphere is buzzing with the epicness of this book. Great choice!